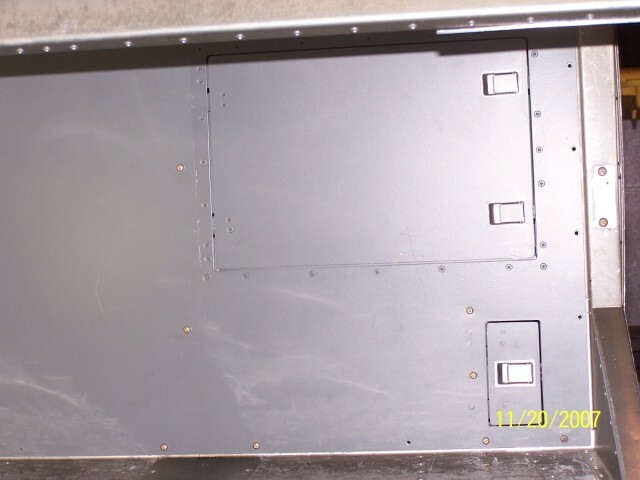 I wanted a storage box that would contain miscellaneous items that would be accessible from the baggage door. 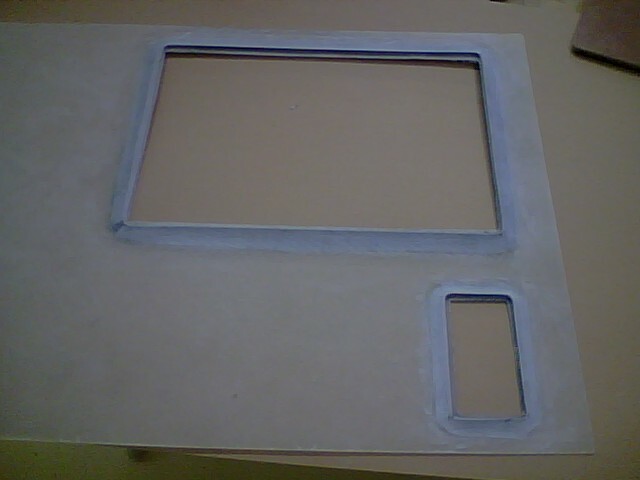 The box dimensions are 13.5 wide x 9 high x 9.5 deep. 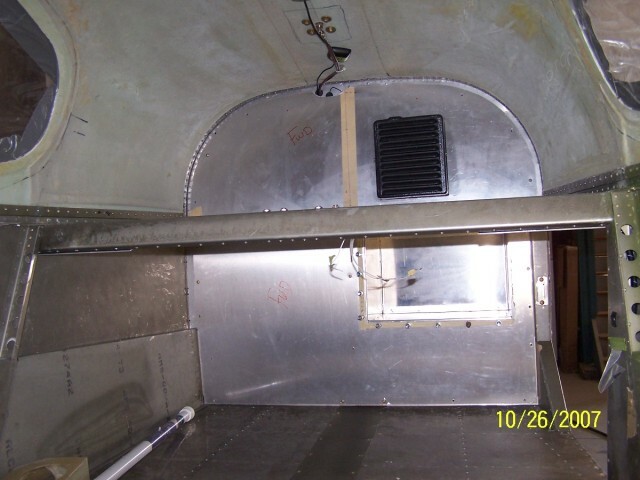 The dimensions were set to be able to hold a roll of paper towels, 2 quarts of oil, fuel strainer and tie downs. 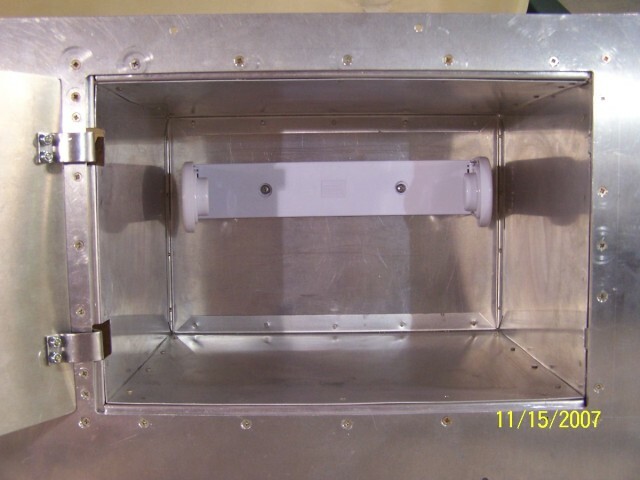 New bulkhead covers were built to replace the bulkhead covers provided by the kit. 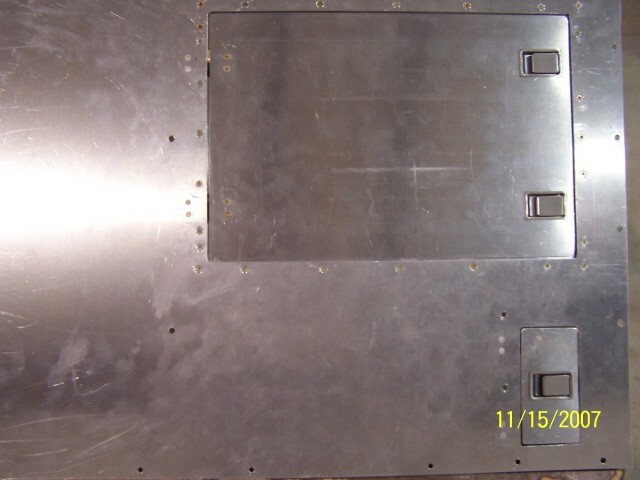 The top panel is .040 and the bottom is .050 aluminum sheet. 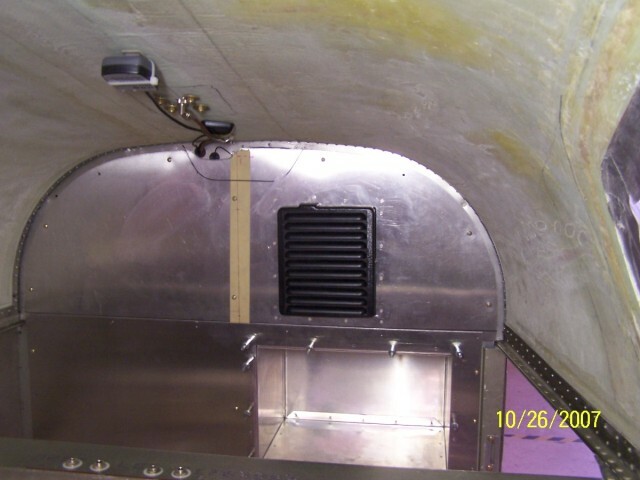 The location of the storage compartment was determined by the equipment behind the aft bulkhead..battery, evaporator return shelf. 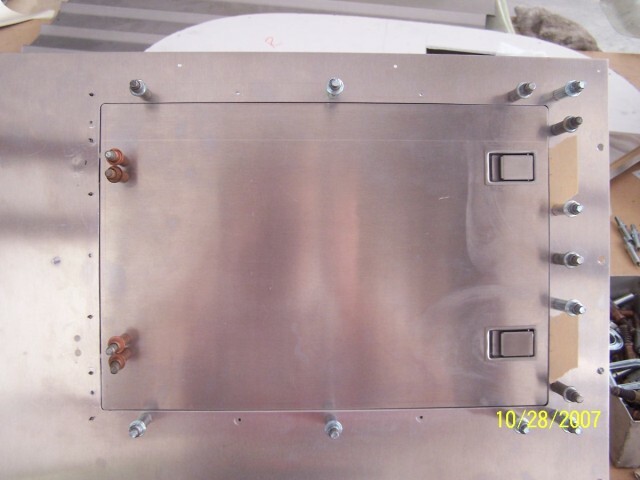 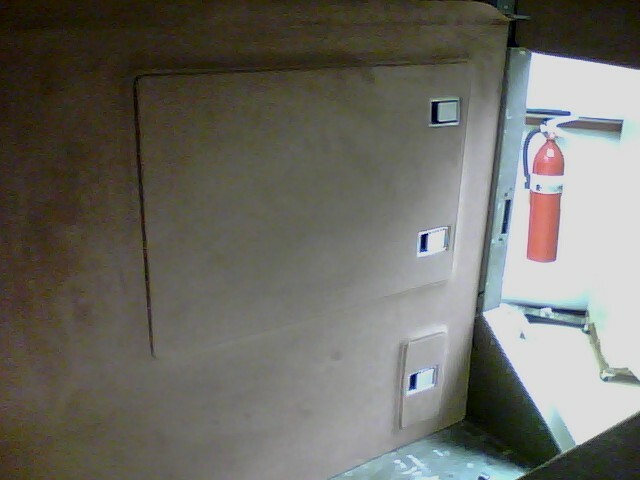 Also included in the pictures is the cutout and return cover for the air conditioning and the access door for the ground power plug. 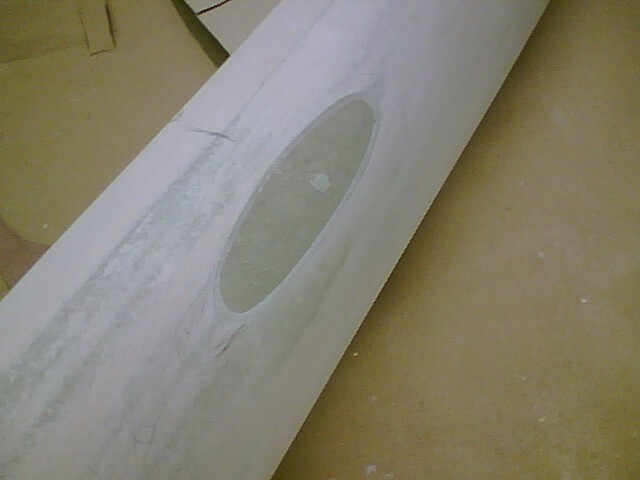 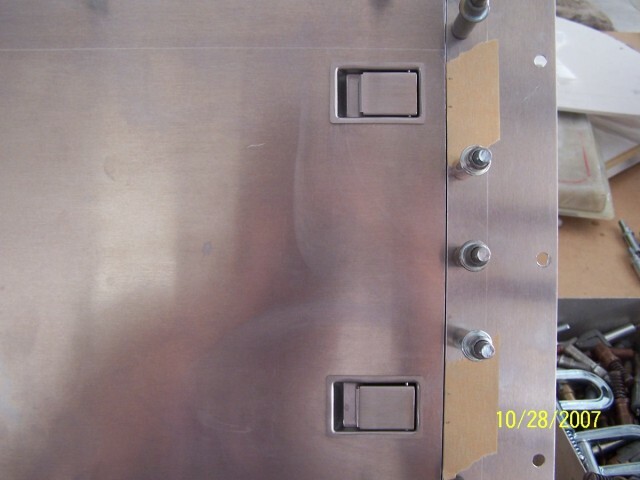 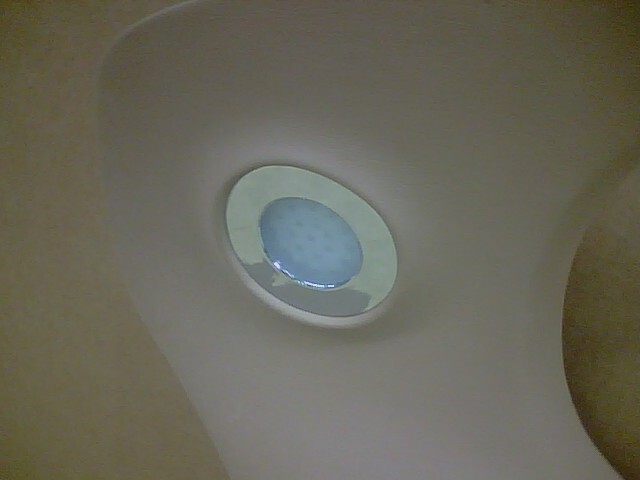 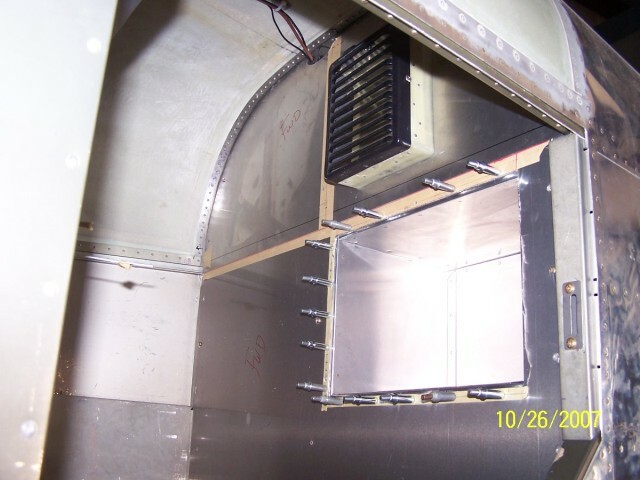 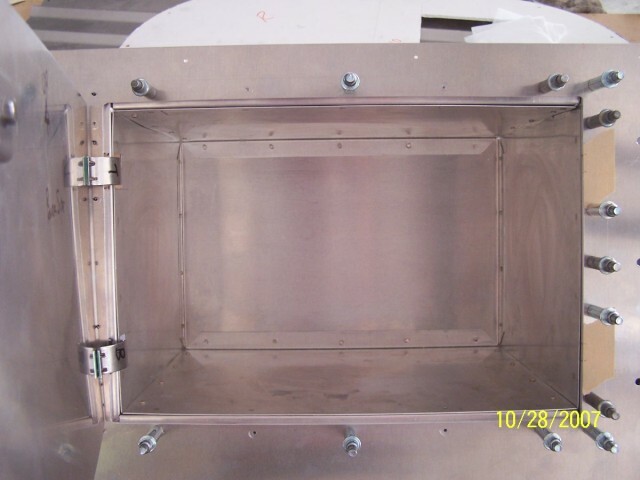 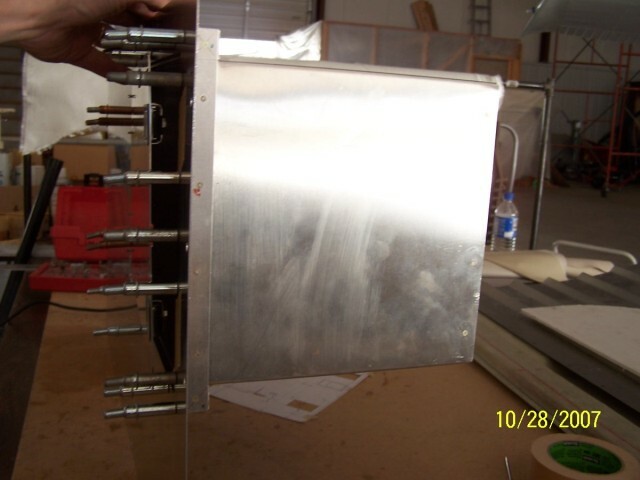 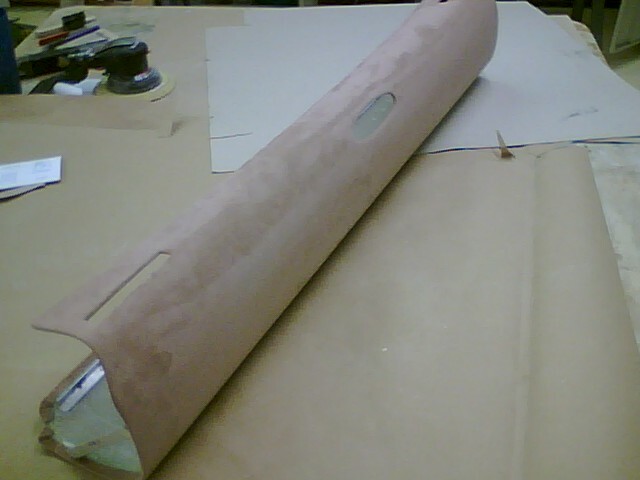 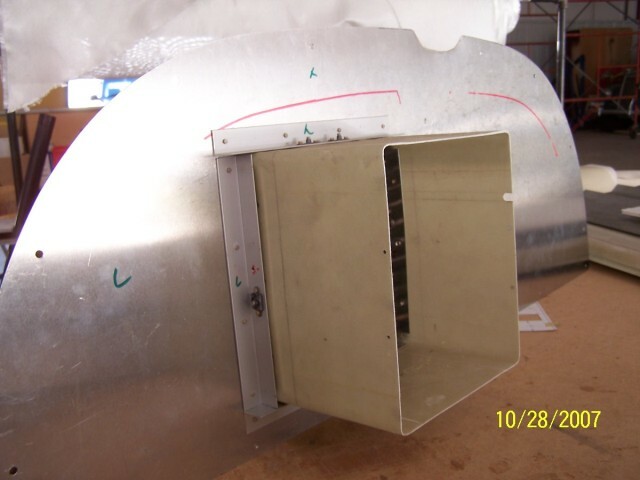 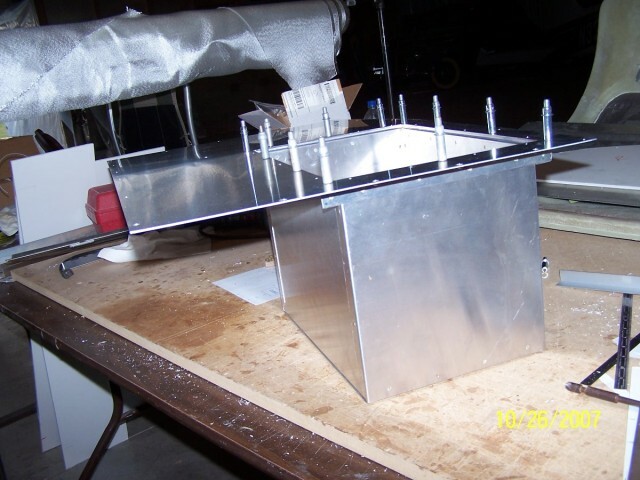 The air conditioning return cover was not used in the final interior layout. 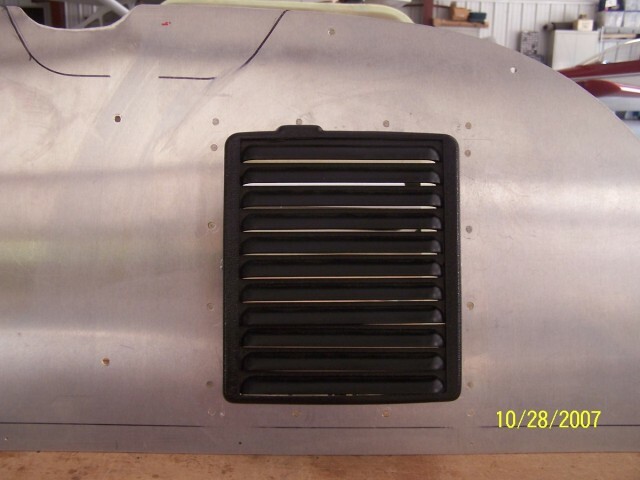 We came up with a false bulkhead panel installed 1" in front of the upper baggage compartment back panel to hide the return vent. 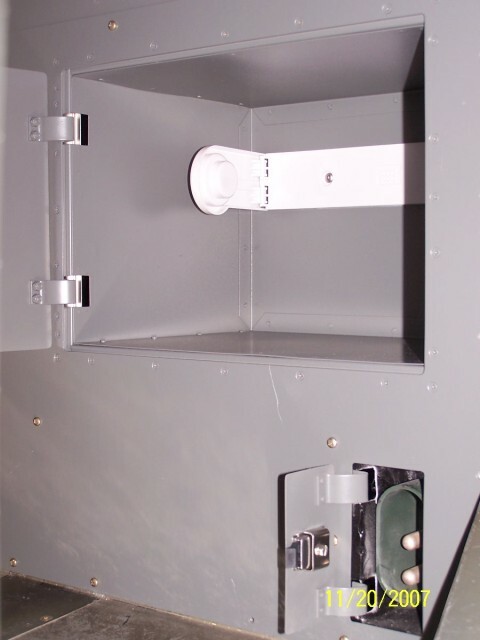 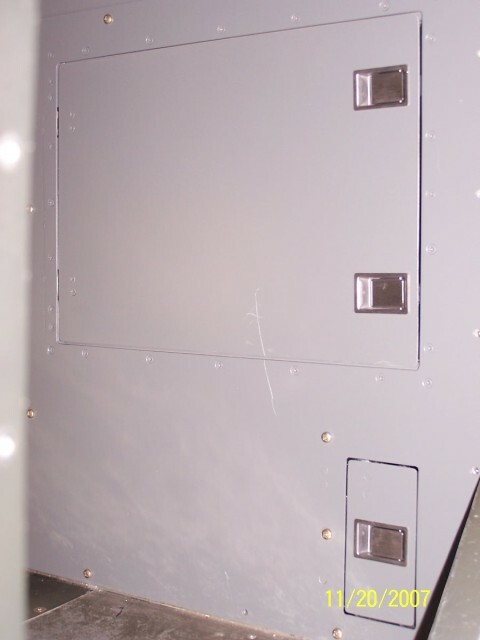 The 1" space + the width of the cabin provided the area needed for the return vent at the bottom of the panel. 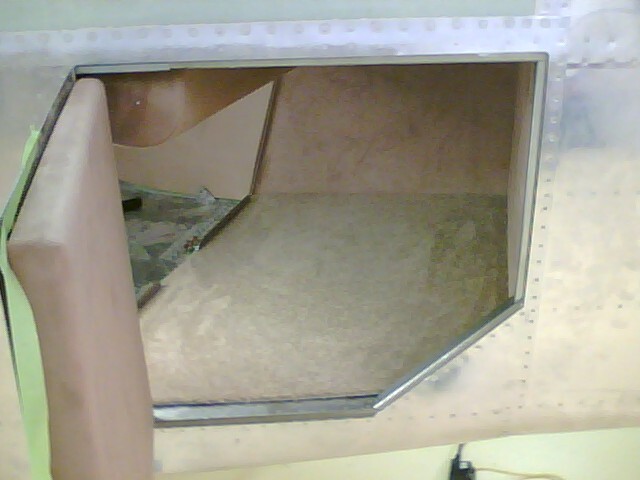 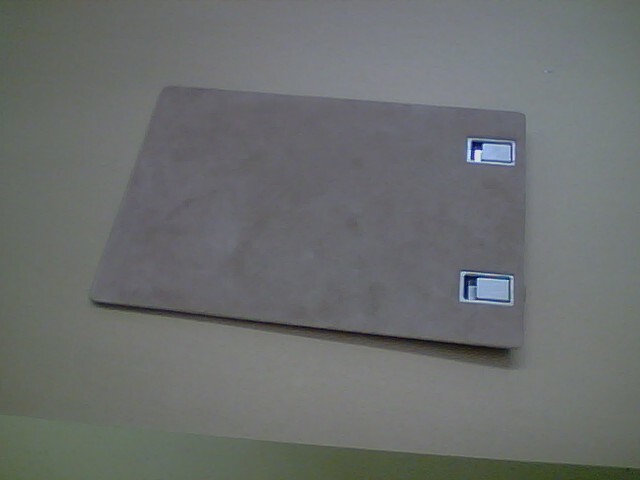 Carpeting is applied to removable panels. 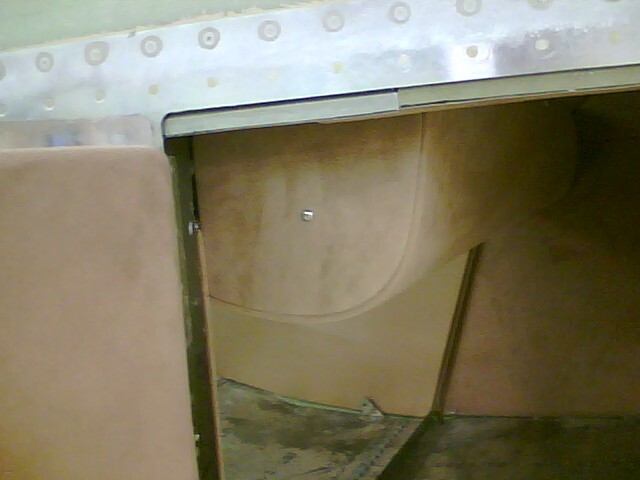 A cover was made to hide the seat belt inertia reels and the belt guide blocks. 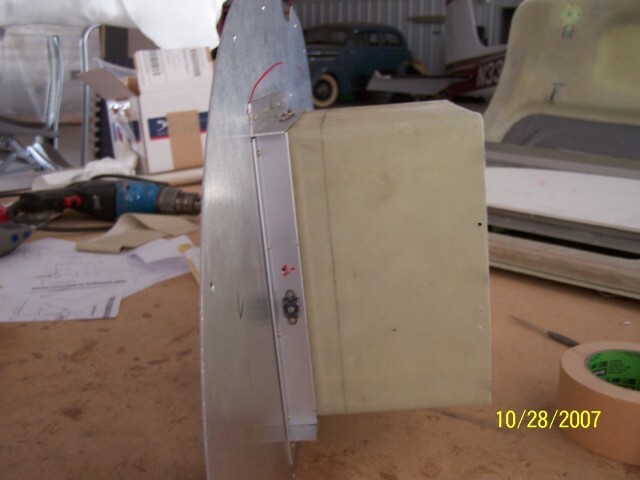 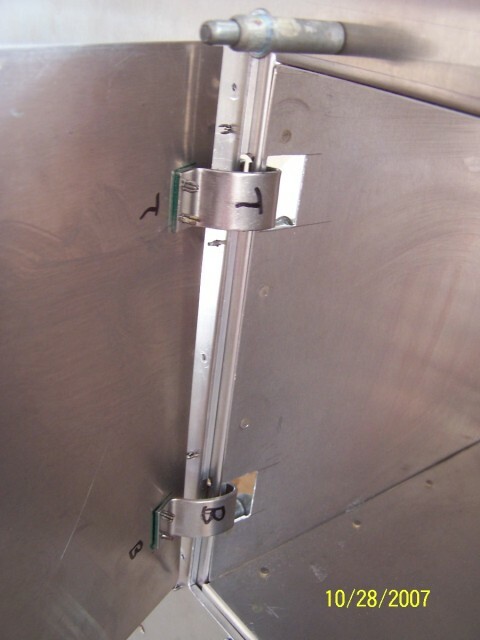 The inertia reels and belt guides are attached to the cabin cross member. 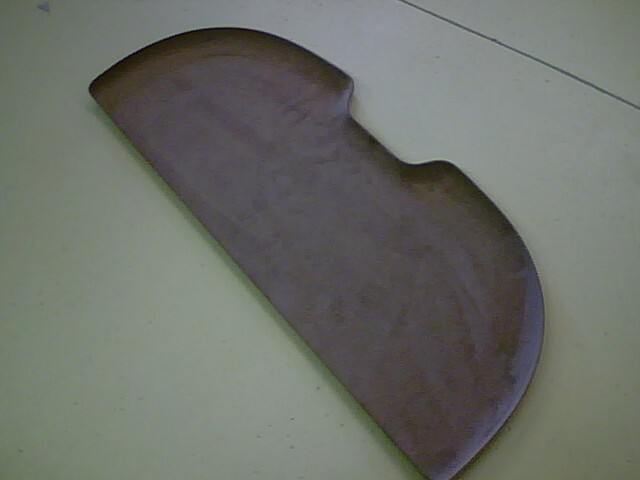 An oval cutout was made in the back of the cover to allow for headset cables routing. 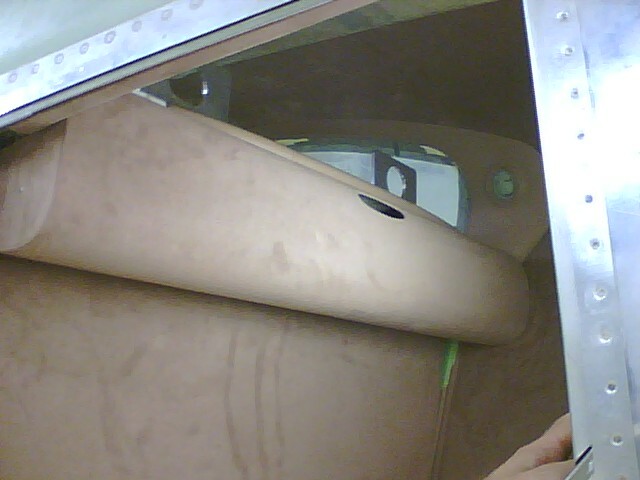 The headset jacks are installed in the top of the cabin cross-member. 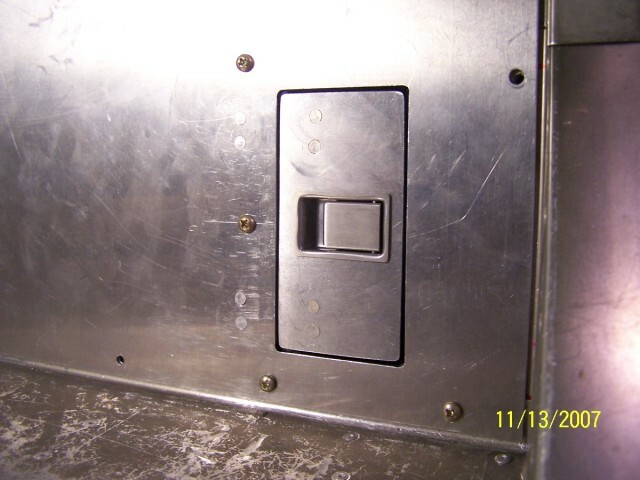 Access is available to the plugs by tilting the seat back forward. 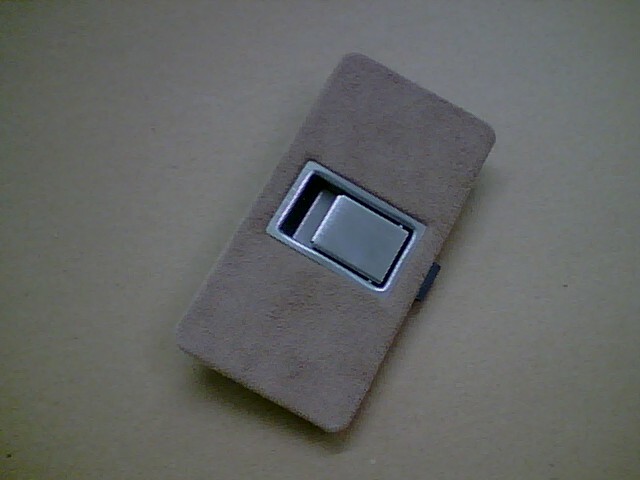 More pictures of the access cover can be found on the seat belt page. 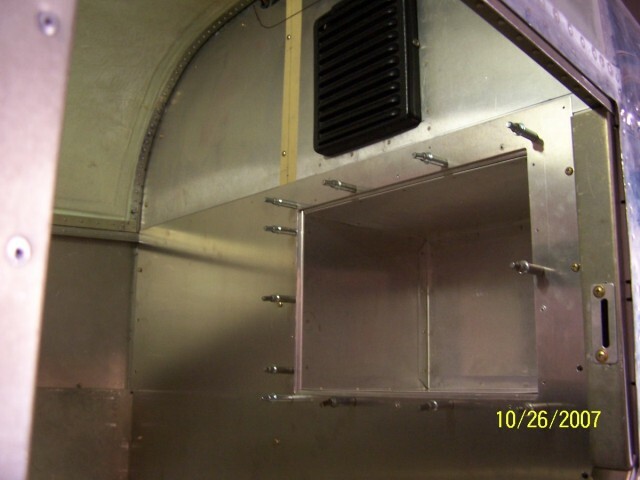 Lights to illuminate the cargo area are LED and and purchased a Innovative Lighting. 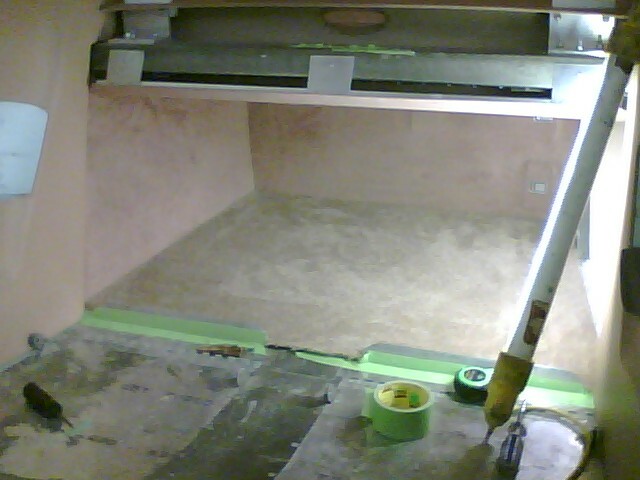 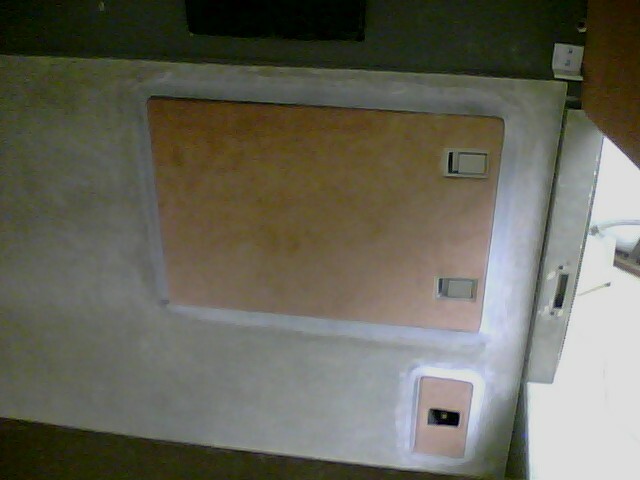 The lights are installed in the panel surround for the rear windows. 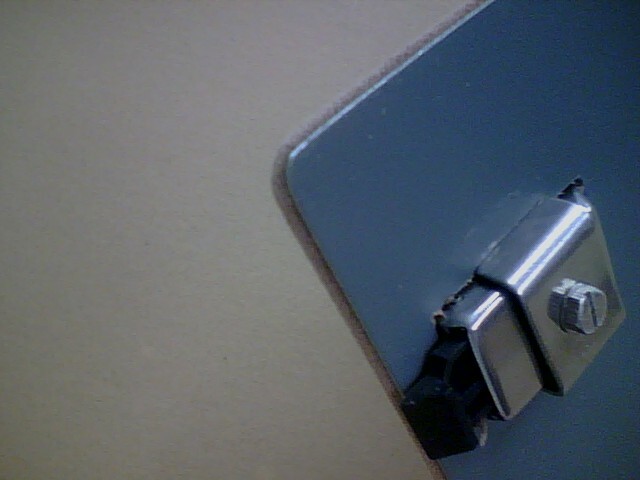 The door latch is from SouthCo part number 64-01-10. 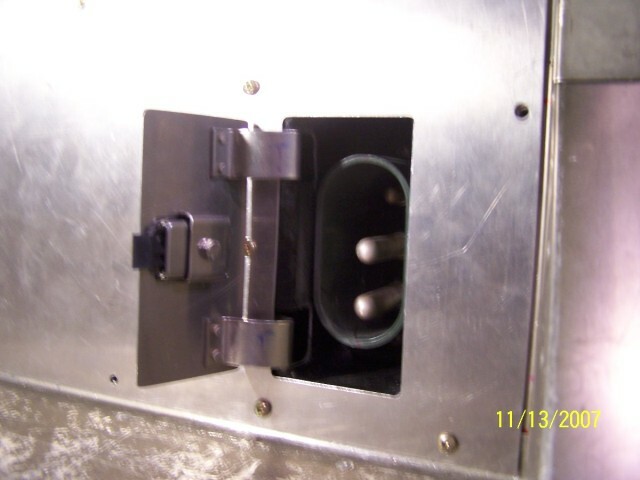 They were bought through a local distributor here in Tulsa 918-622-0113. 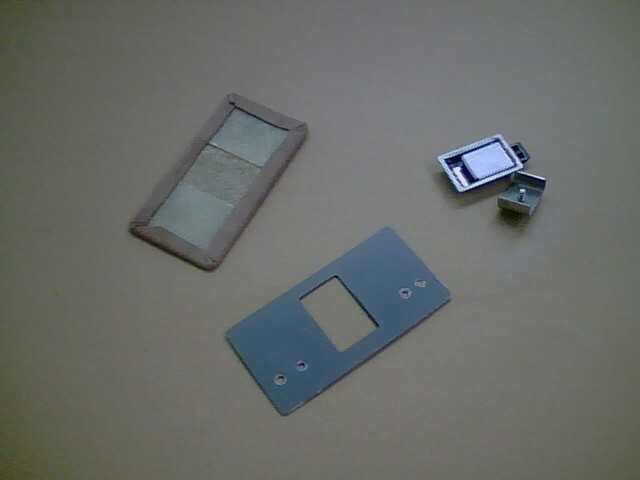 The door hinges are from McMaster Carr part number 11205A35.